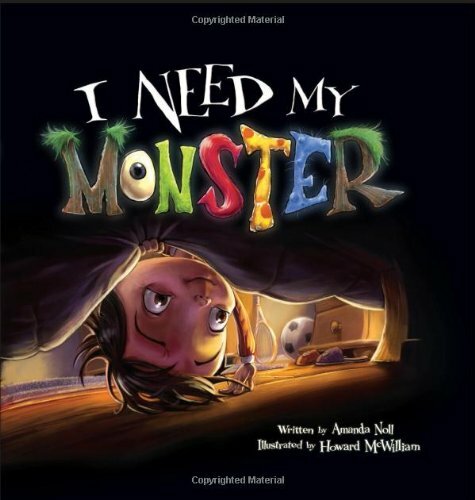 Let your kids use their imagination and practice creative writing while getting in Halloween mood! 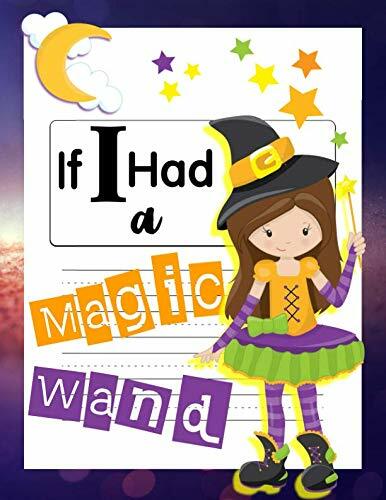 This cute draw and write journal is the perfect notebook to keep kids occupied during October: they will have great fun and also develop composition skills while practicing their printing on the primary lines. 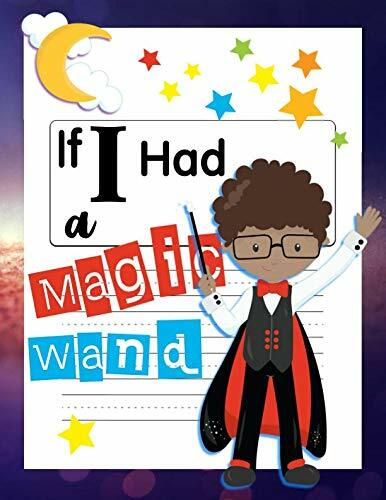 There are 30 "magic" themed writing prompts in the book plus 10 extra pages of primary lined paper (top line, dotted middle line, bottom line on half the page and a blank space on the other half) where parents, teachers or the kids themselves can add their own unique story starters. Buy it today with one click! 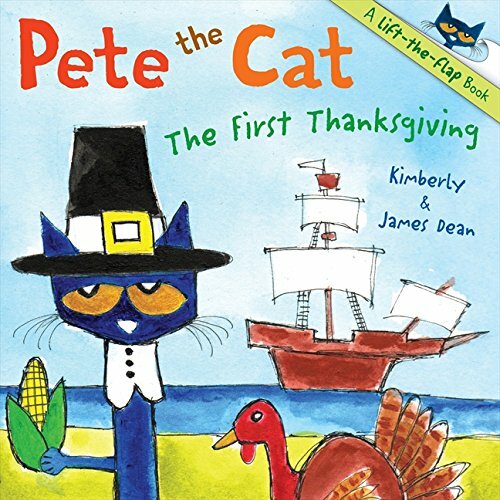 New York Times bestselling author and artist James Dean celebrates the true meaning of Thanksgiving with our favorite groovy cat—Pete!Starring in your school’s Thanksgiving play would make even the coolest cat nervous, including Pete the Cat! But the show must go on….With more than ten flaps that open to reveal hidden surprises, Pete the Cat: The First Thanksgiving is sure to be a holiday hit and a favorite for Pete the Cat fans. What can you do with too many pumpkins?Rebecca Estelle has hated pumpkins ever since she was a girl when pumpkins were often the only food her family had. When an enormous pumpkin falls off a truck and smashes in her yard, she shovels dirt over the pieces and forgets about them. 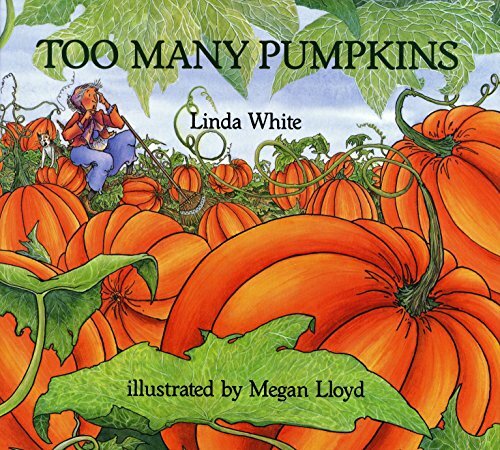 But those slimy pumpkin smithereens sprout up in autumn, and Rebecca Estelle finds a sea of pumpkins in her garden. A heartwarming classic for more than twenty years, this story shows what happens when one thrifty gardener figures out how to make other people happy with the squash she can't stomach.Filled with colorful illustrations from a season of gardening, this is a perfect book for young gardeners and pumpkin lovers. Its wonderful lesson about helping others can be appreciated in the classroom or at home. Donuts, donuts, a mountain of donuts. Molly Duff rubs her stomach. She'd like to eat them, but the Pee Wee Scouts are going to sell them. Door to door. To earn badges and help pay for a weekend at camp. Mrs. Peters, their troop leader, plus one mother will go to camp too. Molly can't wait to swim and hike and sing around the campfire!But when the Pee Wee Scouts are tucked away in their tents for the night, a strange and scary voice calls out, "OOOO ooo eee!" Molly shivers. Is it a tiger? Or could it be a spooky ghost? 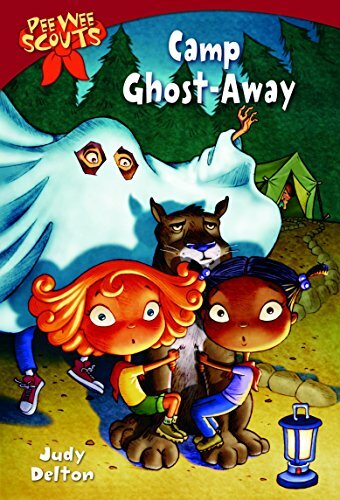 Find out why the Pee Wee Scouts call their camp Camp Ghost-Away! 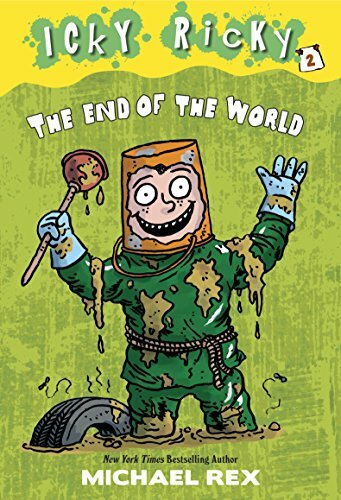 Five young friends invent a candy-making machine for their school’s annual science fair, but when their candy creation comes to life and escapes, they’ll have to work together to find a solution before it destroys the entire city!Madison, Ava, Emma, Aidan, and Dylan have pretty normal lives for a group of twelve-year olds: they go to school, participate in extracurricular activities, and oh, yeah, they also have AWESOME SCIENCE ADVENTURES. Together they form The Not-So Secret Society. When the team invents a candy-making machine for their school’s annual science fair, things don’t go according to plan . . . when their candy creation comes to life and escapes! Halloween just got a whole lot scarier, and a whole lot more fun. Writing team Matthew Daley (Lantern City, Rise: An Illustrated Novel) and Arlene Daley call on their combined twenty-five years of education experience to create this thrilling coming-of-age adventure. 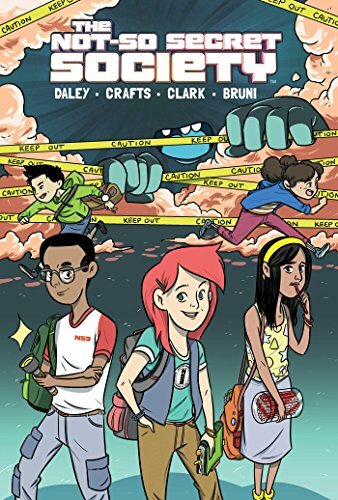 Co-Created by Trevor Crafts (Lantern City) and Ellen Crafts, and lllustrated by Wook Jin Clark (Adventure Time: The Flipside, Regular Show: Noir Means Noir, Buddy), The Not-So Secret Society is an all-ages adventure that celebrates the value of teamwork and lifelong friendships.